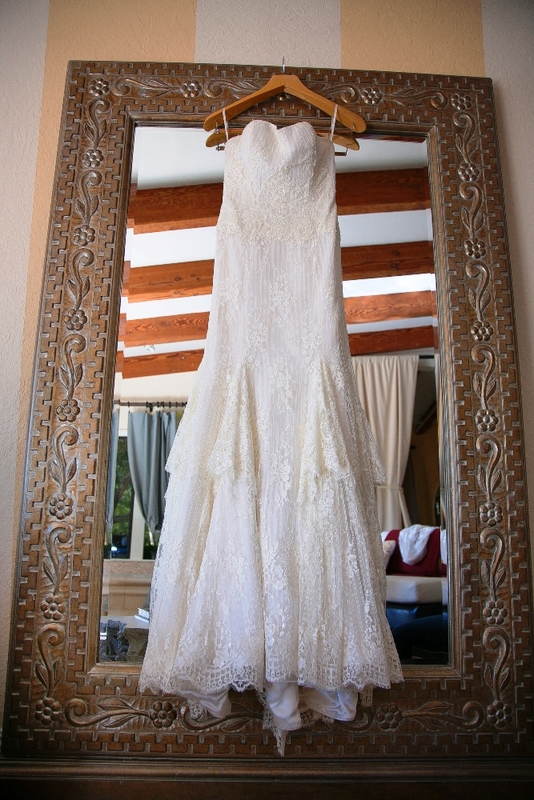 Christina and Bob married in Hawaii just before they held their reception celebration with their closest family and friends in Coto de Caza, California. 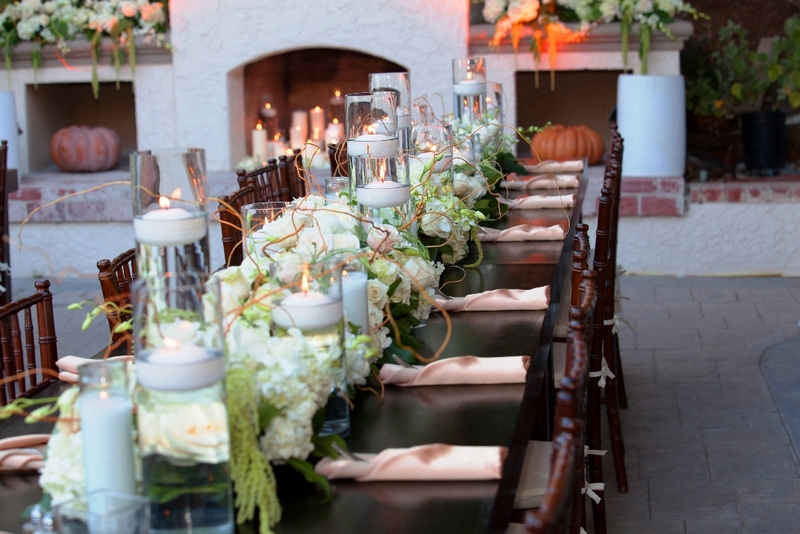 Christina desired a very luminary, organic, yet elegant feel for her event. She chose a color pallet combination of creams, whites, champagnes and golds with a slight saturation of ambers & rustic oranges to set the style with warmth to the colors she selected. We also used dark fruit woods to add a vintage flair. 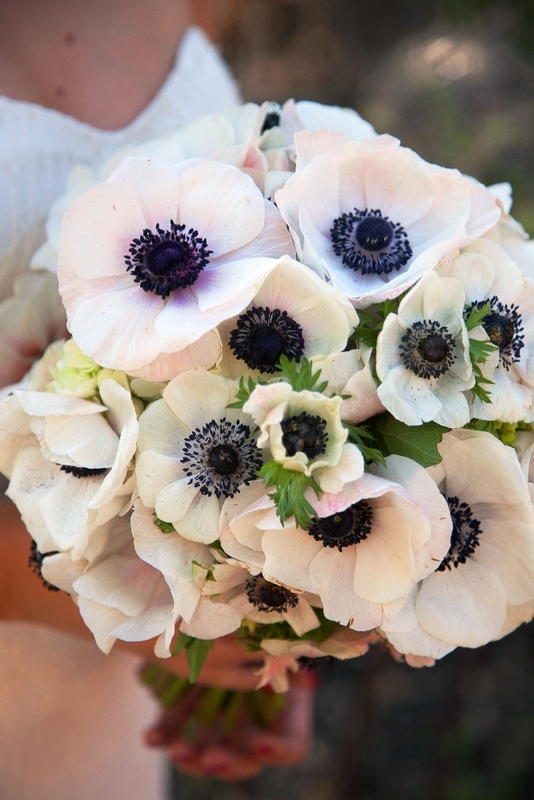 Her bridal bouquet was solely white delicate anemone flowers which were so beautiful, unique and stunning. She created fun little vignettes of mini liquors, cigars & chocolates for her guests to enjoy and they even got to take home potted violets! Their wedding cake was specifically created and designed to share their favorite countries traveled together as taking trips is one of the things they love to do with each other. Their wedding reception celebration was very intimate, special, fun and exceptionally distinctive to them as a couple. Congratulations again to you both on your marriage!